East Boston may seem like a surprising topic for a luxury real estate blog, but the last decade has brought about a transformation for a neighborhood known for triple-deckers and the airport. Though the neighborhood is not widely known for its stunning harbor views and miles of shoreline, it’s the East Boston waterfront that is driving much of the change. According to the Boston Planning and Development Agency, there are currently 34 residential projects in East Boston in the pipeline. Here are a few reasons why East Boston has become one of Boston’s busiest areas for new development. The East Boston waterfront is just across the harbor and one stop (Maverick Station) on the MTBA Blue Line . 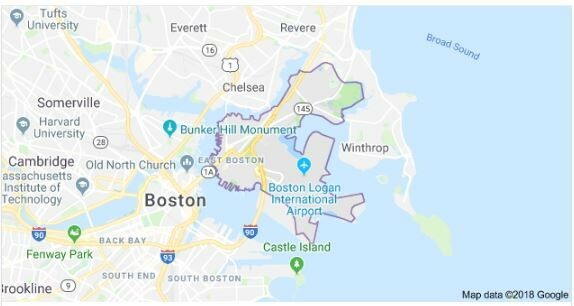 The neighborhood, which is located directly across from the Boston Financial District and the North End, is made up of older classic three-story dwellings, newer apartment and condominium buildings, commercial areas, and waterfront space. Aside from its close proximity to Logan Airport, East Boston boasts an easy commute in and out of Downtown Boston. Here is a summary of a few of the ways you can travel around the city. The Blue Line Maverick Station (which serves the East Boston waterfront) will bring you into South Station via a 0.5 mile walk from State, a bus ride or connections to the Green then Red lines, in just a few minutes. From South Station, you can make connections to area bus routes, as well as the Red Line and Commuter Rail. The Silver Line (SL3) bus was added this summer and provides another option to go from East Boston to Logan Airport, the Seaport District and South Station. Water taxis in East Boston connect you to different waterfront stops in Downtown Boston and the Seaport district. New residential development projects on the waterfront, such as Slip65, also offer water taxi service as part of their amenities package. You can also reach Downtown Boston by car through one of a few tunnels (although not recommended due to traffic). Numerous new residential developments have popped up or are in the process of being developed along the East Boston waterfront. These luxury condominiums, just one stop away from downtown, are incorporating desirable amenities and services to compete with the high-rises in the downtown area, such as waterfront views, urban parks, floating docks, health and wellness space, dog parks, etc. By comparison to Downtown Boston, East Boston pricing appears reasonable. An example is Clippership Wharf on the waterfront. This site is a 12-acre mixed-use development that includes ground-floor commercial space, public space, hundreds of parking spots, and a total of 478 residential units. Phase 1 of this project incorporated the Slip65 condominium development at 65 Lewis Street. Sales were strong right out of the gate which led to a successful sell out of all 80 condominiums in less than two months, commanding prices from $700 to more than $1,200 per square foot (which is quite high for East Boston). Plans for Slip65 also include a new section of the Harborwalk (see my post about the Harborwalk here), grilling and fire pit spaces, a beach area, and a Kayak Center. Also sited along Clippership Wharf is the historic Hodge Boiler Works site at 99 Summer Street. This mixed-use development features 119 condominium residences with over 7,200 square feet of ground-floor waterfront space. The project plan includes an elevated courtyard, fitness and wellness spaces, and underground garage parking. Under construction, The Mark is yet another building on the site of Hodge Boiler Works featuring 107 new-construction luxury condominiums. The six-story building developed by The Davis Company is within walking distance to The Reelhouse Restaurant (a new fine dining establishment), Lo Presti, and Piers Park on the waterfront. For the rental market, East Boston offers new apartment buildings on the waterfront such as The Eddy (258 apartments) and Portside at East Pier (296 apartments). In addition, the arts and culture scene is seeing growth as well. This summer, the ICA (Institute of Contemporary Art) opened new art space in East Boston called the ICA Watershed. Another aspect of living in East Boston is the access to the shoreline. Public green spaces are nestled throughout the waterfront area in between the condominium buildings and other planned projects. 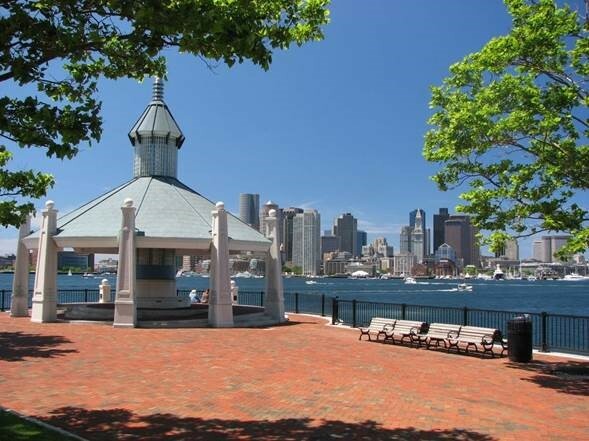 You’ll want to check out Piers Park for the views of the city skyline and the calm waters of the harbor. The East Boston Greenway will connect you to several well-known green spaces along the East Boston waterfront including Piers Park, Belle Isle Marsh (great for bird watching), and Memorial Stadium (a popular sporting/concert venue). Upon completion, the greenway will consist of 3.3 miles of pathway linking 12 acres of park space in East Boston. If you are in the market for a new place to live, it helps to remember that you’re not just buying a home. Buying into a neighborhood that is right for you is an extremely important factor when choosing where to settle down. 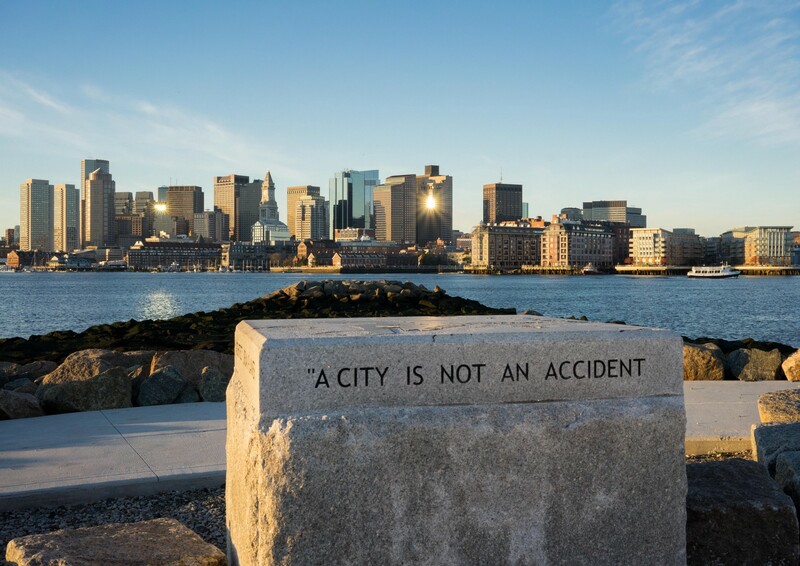 East Boston represents an opportunity to live close enough to Downtown Boston to enjoy easy access to the city amenities, while enjoying the benefits of buying in an up-and-coming neighborhood. Questions about new development residences in Boston? Contact me at 617-508-8068 or ggustafson@landvest.com.